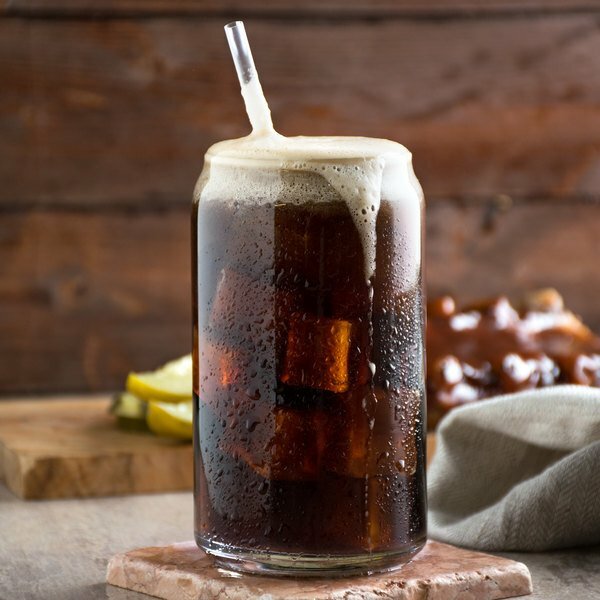 Delightfully cool and sugary sweet, your patrons will love to order a tall glass of root beer with their home-style meals. 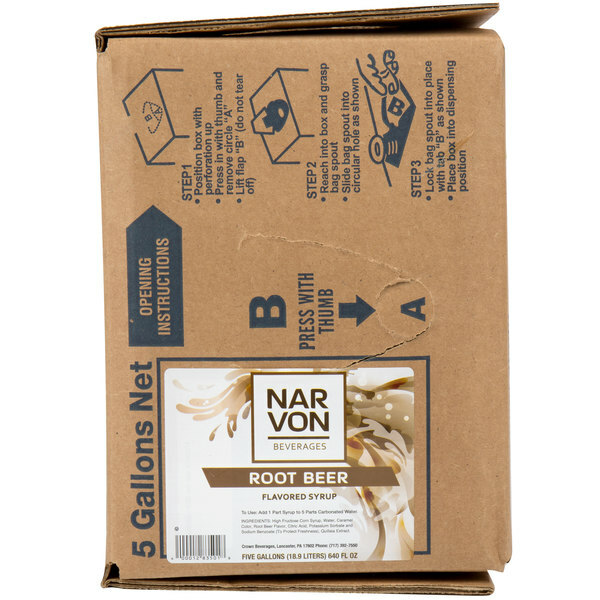 Easily refill your soda machines and always have fresh beverages on hand with Fox's 5 gallon bag in box root beer beverage / soda syrup! A corporation specializing in irresistible ice cream toppings, sweet syrups, and fizzy soda mixes for over 100 years, H. Fox & Company takes great pride in their products. A tantalizing blend of rich flavors and spices, root beer will fill your senses with classic, all-American taste. Originally, root beer was marketed to Pennsylvania coal miners. It became a popular soft drink by the late nineteenth century, and there's no doubt that it retains some of its timeless charm today. Root beer has a distinctively sweet taste on its own, but it can also be used to make creamy, indulgent root beer floats when poured over ice cream! Fox's bag and box are recyclable, and this root beer beverage syrup reduces waste by dispensing only the desired amount to mix a drink. 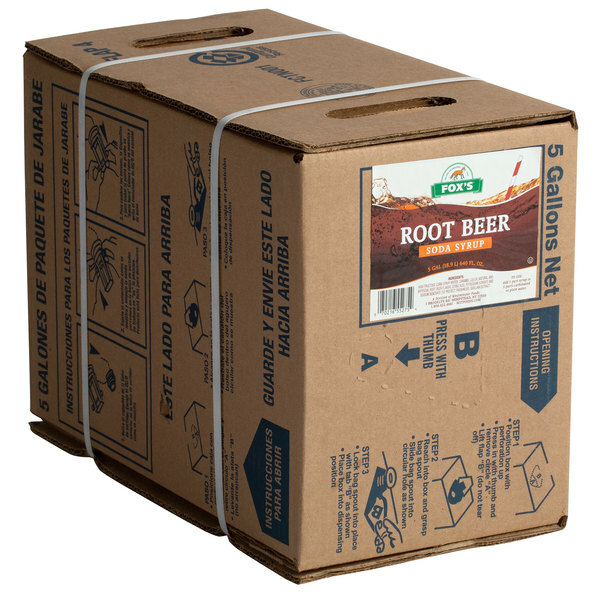 Each 5 gallon bag in the box will yield approximately 30 gallons of soda when used with a soda dispenser. Simply add 1 part syrup to 5 parts carbonated water to use, and make measuring hassles, spills, and flat products a thing of the past! Root beer floats are one of our biggest sellers so going with the expensive name brand was not a option. Fox's root beer syrup is a great alternative at a much lower cost. We use rootbeer syrup to flavor our milkshakes. Its a budget friendly way to make rootbeer flavored milk shakes with out paying for name brands. This is less then half the price of name brands and tastes the same.I would purchase this item again and would highly recommend this item. I like the flavor of this product. IMO more than the national brand root beers. The cost comparison is great being half the price as the nationals. The packaging is usually broken and I have to tape up or tie wrao the box but the product taste quality is good. Fox's is a great brand that has great syrups at a low cost. The syrups work well to create in house sodas. The root beer is wonderful without being too sweet. One of the best root beers I have had. Fox's bag in box drink syrups are a great value. They come well packaged in sturdy cardboard boxes. A lovely root beer that taste good but falls a little short of being comparable to name brands. The root beer is a tad sweet, so I do not like drinking by itself. It is excellent for mixing though and that's what we bought it for. Taste just like the name brand. We have not had any customers complain about the flavor or trying to say it isnt a Namebrand product. And the price is out of this world amazing! 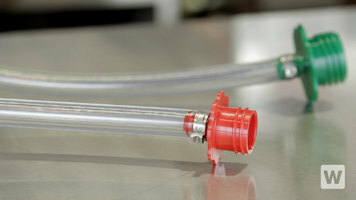 We have saved sooooo much money by getting this! I wish I knew about this brand before hand. This along with the adapter has saved me so much. The taste is very similar to the large brands. I love rootbeer but many of the so called premium brands are just ok. The main issue I have is they just don't have a good natural rootbeer taste they have an artificial taste not the taste of sassafras root. Fox's has a good natural taste like a premium small batch rootbeer not a fake chemical taste. I prefer it to the rootbeer we get from our pepsi distributor and so far our customers do to. We sell lots of it as old fashioned rootbeer floats and this old style natural tasting rootbeer is jut the thing for our floats. It has a great Root Beer smell and good flavor also! It makes very good Root Beer Floats :) and since it comes in 5 Gal BIB and not 2Gal I won't have to worry about changing it all the time! I stock almost all of Fox's offered beverages and in my experience this is always the highest selling. Perhaps it is because people are more willing try off brand root beer. Whatever the reason this is definitely a good product. Fox's Root Beer syrup is really great root beer when mixed right. 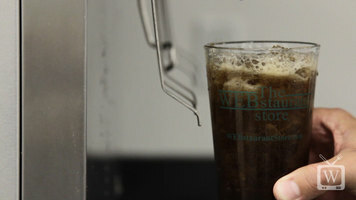 Our customers love our root beer and say they weren't disapointed with it like they are in some restaurants. Save Up To $5.07 with our Recommended Product!